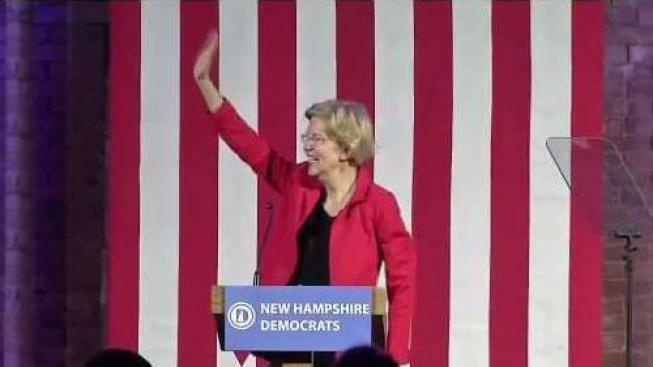 In an email to supporters on Monday, Warren acknowledged the decision will ensure she "will be outraised by other candidates in this race"
Sen. Elizabeth Warren stopped in New Hampshire to give a speech as she continues her run for the White House. Democratic Sen. Elizabeth Warren says she will forgo the chase for campaign money from the biggest donors in her quest for her party's nomination for president. In an email to supporters on Monday, Warren, of Massachusetts, acknowledged that "this decision will ensure that I will be outraised by other candidates in this race." But by making her move now as a proactive gesture, vowing to avoid any "fancy receptions or big money fundraisers only with people who can write the big checks," Warren is betting that focusing on grassroots supporters will ultimately pay off by boosting her small-dollar donations as she battles a half-dozen or more rivals. Warren billed her new fundraising policy as a way of matching her actions to her calls for a sweeping change to the nation's political systems. She already has sworn off campaign donations from political action committees and federal lobbyists, but her new policy puts her in a league beyond most of the other Democrats already seeking the presidency or weighing runs. Some of those rivals are already besting Warren in the hunt for donations that can often make or break a presidential candidacy. Vermont Sen. Bernie Sanders' campaign reported nearly $6 million raised in the first 24 hours after he entered the race last week, and California Sen. Kamala Harris' campaign reported $1.5 million raised during the first day after her launch. Harris and Sens. Cory Booker of New Jersey and Kirsten Gillibrand of New York reportedly have signed on to appear at high-dollar fundraisers as they hustle to raise the cash necessary to compete in the jam-packed primary. They have sworn off donations from corporate political action committees, but none has gone as far as Warren pledged Monday. "We're going to take the time presidential candidates typically reserve for courting wealthy donors and instead use it to build organizing event after organizing event, in the early primary states and across the country," Warren wrote to supporters. Warren's campaign has stayed mum about how much money it has taken in since she announced her candidacy. 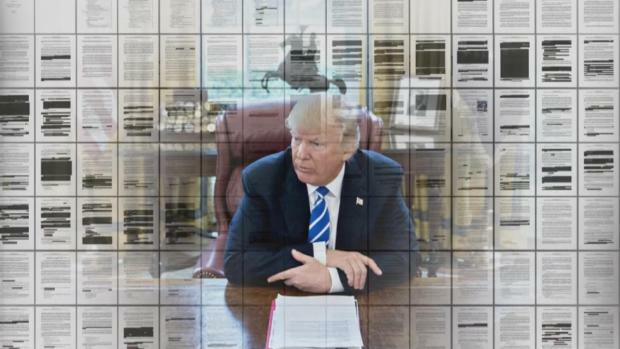 An early glimpse was included in Federal Election Commission year-end filings, which showed that she collected around $300,000 in the hours after launching her exploratory committee at the end of December. That's a far smaller figure than what several of her competitors have reported raising. More recent fundraising emails have said she's "falling short" in the money race. "Let's be real: Out of all the candidates Elizabeth is probably never going to raise the most money," says a fundraising solicitation sent out Friday. But during recent midterm elections she was a fundraising powerhouse who outraised all of the other senators currently running for the presidency, pulling in more than $30 million between her Senate fund and two separate fundraising committees, which she has since shut down. She also cut big checks at the time to candidates, Democratic federal campaign funds and state-level party committees in Iowa, Florida, Arizona, Nevada and New Hampshire. That left her with about $11 million in the bank at the end of December, records show.